It has been a strange last few weeks. My writing career has gone through some major trials and tribulations but I am now back on track. Before I explain more I feel that I need to apologise for breaking my promise to blog more regularly (it has been a while since ny last entry), but I hope you can find it in your heart to forgive me on this. So what’s my excuse this time? Basically the summer hols are never a good time for me and work as I am practically a single parent ever since my wife got ill (dementia) and so my two sons dominate my time whilst they are off school. But hey! We all have our crosses to bear, don’t we? The main reason for my tardiness is my new thriller. Kingmaker is finally back from the editors so I have been finishing the manuscript and getting it tidied up for publishing. I was originally thinking of going back to trying to find an agent (I tried this a few years ago but got little back for my efforts), but I dropped that idea as the good old days of easily getting a contract with one of the Big 5 are now long gone. The rise of self publishing has made traditional publishing very hard to break into! So I then took a look at self-publishing through a reputable third party (if you can’t beat them, join them!). I have been flirting with Rowanvale Books and Matador’s Troubador imprint for a while – they have a good reputation in the UK where I need them to be based – and I was on the verge of getting an up to date quote from both and just pressing the button. Easy, simple, hassle-free. What could possibly go wrong? Sadly when I ran the numbers again and compared them to my business plan and what I wanted to achieve with my first book, the numbers just didn’t stack up. I would have to sell thousands just to break even. In this market? For a first book? Mmmmmm. That’s a big risk. So it was back to the drawing board! So I made a life-changing decision. 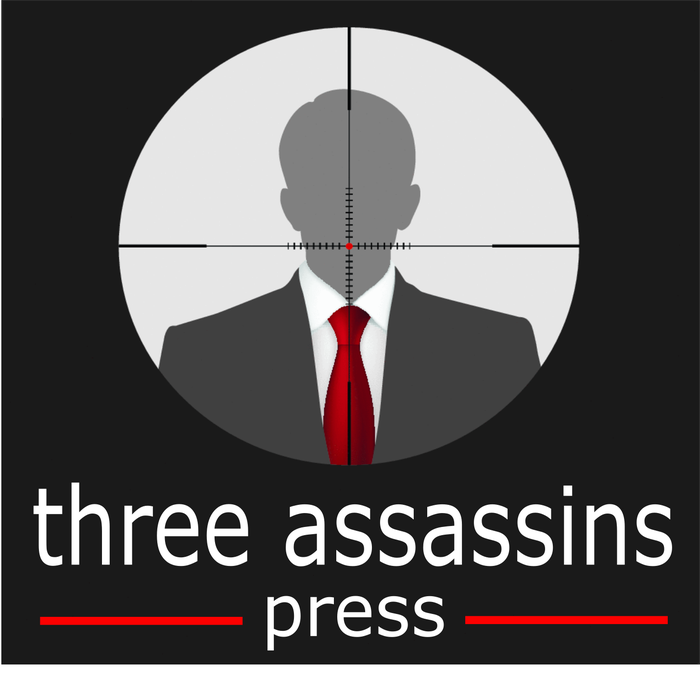 Kingmaker is going to be self published by my own imprint instead – and that is how Three Assassins Press (www.threeassassinspress.com) was born! I hope you like the logo. You may notice that I have also made www.www.adrianhydebooks.com as my main website (if you are reading this you will see that my WordPress site now uses this new address). So, I have my imprint now and my manuscript is nearly ready. So the rest is just uploading everything to Amazon KDP (in progress), ordering my ISBNs from Nielsen (done), registering Kingmaker against the first number (to do this week) and creating my cover. Then to tell the world! Now I am sure you have all read that your cover is key to sales. I looked around to find a good prepare cover but the unusual setting for Kingmaker (WW2 Norway) made it impossible to find anything suitable. I then looked at custom covers but again the costs were prohibitive. Luckily I did a lot of graphic design back when I was in marketing (mainly using Adobe Indesign) so I thought I could do as good a job as many of the less expensive cover design companies. Easy! So I thought I would just buy the software and do it myself. WRONGO! Sadly Adobe – in their infinite wisdom (i.e.greed) have decided to put Indesign on the cloud now instead of selling the software on disc, and now charge a crazy annual fee for using it! No way am I paying THAT! So the solution was to find a freeware alternative – I settled on the favourite three of Inkscape (vector graphics – similar to Draw), Gimphoto (similar to Adobe Photoshop) and Scribus (the Indesign alternative for creating print ready documents and pdfs). They all look and feel pretty similar to the expensive “professional” software from Adobe et al, but are free to download and have the added benefit of being more ethical in their freeware spirit. I have also signed up with http://www.shutterstock.com as they have loads of excellent images and vector graphics to use. Sorted! 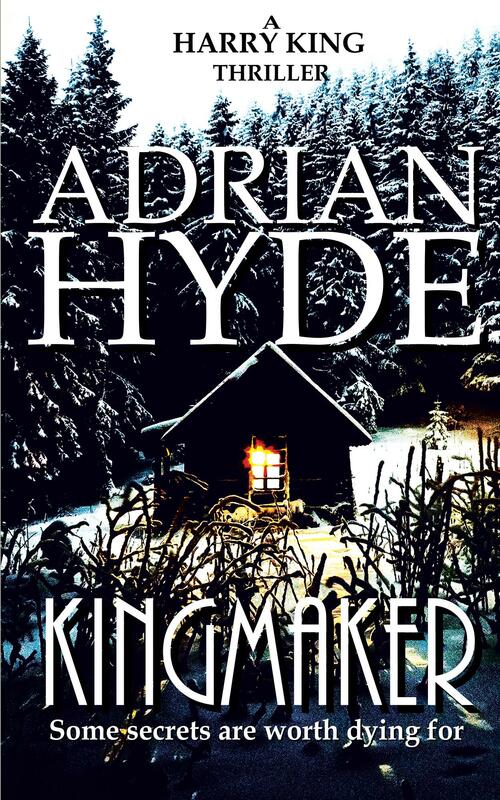 So there are now many jobs to do this week to get Kingmaker alive at last (starting with the Kindle ebook, then Smashwords for Apple, Barnes & Noble, Kobo and Sony, then finally doing the paperback as print on demand via Amazon’s Createspace and using Ingram’s Lightning Source for global distribution). Phew! BLOG: Writing Routine: Does It REALLY Matter? First of all, dear reader, an apology is in order. I always intended this blog to be updated at least once a week, preferably every couple of days. Sadly this has not been possible recently due to a whole heap of personal stuff that I won’t bore you with, but let’s just say that my normal writing routine has been ruined. I have failed already! Is “real life” an acceptable excuse? This, naturally, got me thinking about the impact that this brief hiatus was having on my own writing. I’ve currently got a novel (a World War 2 thriller called Kingmaker) away with my editor, and I have always been loath to start another novel project until the current one is complete. I’ve got a whole pile of story ideas practically screaming at me to get them out of the drawer, dust them down and give them the love and attention that they crave, a bit like Tribbles aboard the Starship Enterprise. So, unable to face the horrors of two novels inhabiting my already swamped cranium at the same time I have instead been working on a short story that I had hoped to have finished by now, but even that has stopped because life has simply got in the way of what I wanted to do. When – late at night – I have finally found the free time to write I simply lacked the energy and desire to try to be creative. My brain was well-and-truly fried. But is this just another excuse? Is this where so many writers fail, simply by lacking the dedication to succeed? If you write I’m sure you have also experienced this quandary. It takes a HUGE effort of willpower to force yourself to write a best-selling novel when all you want to do is crash in front of the TV with the dog for half an hour then hit the mattress and try again tomorrow. This is especially true if, like me, you have children (but J.K.Rowling did it, so why can’t I? my conscience keeps telling me). I’m a single parent of two amazing kids, as well as looking after my dog and caring part-time for my wife (she is in a care home with dementia), and this week I’ve also been to the hospital with hearing problems, and then the car didn’t work… I want to write every minute of every day but this week it just didn’t happen. Even writers have other priorities. Life got in the way this week, and I’m okay about that. Let’s face it – we probably all imagine writing full-time every day in a book-lined study with amazing vistas, pounding away at the keyboard until our work is done for the day and we can pop-off to the pub for a well-earned pint. If only life was that easy ! Some people find having a writing routine easier than others, whilst most of us are left with forcing body and mind past our natural limits to write under far from perfect conditions. Go on, you can say it. Lucky sod. I wish I could do that! Roald’s routine sounds like the ideal, but in reality we have to be more flexible. Many see having a rigid daily writing routine as a vital part of the creative process, but in reality it is generally only for those able to write full-time. For the rest of us mere mortals with families, careers and other responsibilities we just write when we have the time and energy. When I do get the rare luxury of being alone and having time to write I am usually at my best between 9 AM and lunchtime, but on my good days I can write all day if I have what I call the magic fizz in my head. My best ideas and dialogue often come late at night or when I am walking the dog. NOT having a daily routine is not the ideal way to work, but it may be the ONLY way. Was it REALLY wasted time? Routine is nice, but the key thing is finding the time – any time – to sit down and write. This week sucked for me but next week will be better, even if I don’t get back into my ideal routine. Not writing at all this week felt lazy and slightly dirty but maybe it was the only way to stay sane. I have always believed that being flexible is a key part of an author’s skill-set. So before you lurch into the typical writer’s malaise of self-loathing, self-doubt and even questioning your own pathetically worthless existence you must STOP and gain some perspective. Maybe even having a break isn’t so bad after all. Was it REALLY a complete waste of time? Have you done anything else to help your writing career? Have you experienced anything that you can write about? Have you met any people that might help with future characterisations? Have you completed an onerous personal task that now frees up your time (and mental energy) to get back in the flow and write, write, write? Have you done any other vital research or concept development? Do you feel recharged and energised? If the answer to any of these questions is YES then you have not wasted your time. At the end of the day, in order to be a writer you must WRITE. You can’t use the excuse of “real life” every week. Sooner or later you are just going to have to sit down at your desk and write, and having a routine will help hugely with that – BUT NOT HAVING A ROUTINE DOESN’T STOP YOU WRITING! So now, instead of beating myself up for not writing, I like to think that this brief break hasn’t been the complete wash-out that I originally thought it was. I’m now recharged – supercharged, even – and ready to tackle the next BIG step of getting Kingmaker finished and published. I’ve just got to wait a few more days before my editor gets back to me then I’ll hit the ground running on Monday. Honest. Whatever your politics or view of the world, mankind has a rough road ahead. We will all eventually have to face some difficult issues that at the moment we are just too scared (or lazy) to think about. Thankfully, Science Fiction authors have already warned us and told us how to solve it (or not, as the case may be). If you remember Maslow’s famous Hierarchy of Needs (and you do, don’t you?) you’ll hopefully remember that the first needs are physiological requirements for human survival: air, water, food, clothing, shelter etc. Without meeting these needs then other (more complex) ones cannot be met – safety (personal, financial, health etc), love and belonging, esteem, and self-actualization. The big problem is that with dwindling natural resources and a global population swelling from 188 million in 1AD to the current 7 Billion+ (and estimated by the UN to reach nearly 11 Billion by the end of the century) whatever our current problems are, they will only get worse. Air, food, water, shelter etc will all become scarce. As even the most conscientious of us have a negative impact on the environment (and wildlife) it is not surprising that the respected broadcaster and naturalist Sir David Attenborough described mankind as a plague. Famously made into the 1973 movie Soylent Green starring Charlton Heston, the earth is overcrowded, polluted and heading for destruction (Harrison estimated the world population to have hit 7 Billion in 1999). Even New York City – the epitome of “advanced culture”and technological advancement – is depicted as full-to-the-brim and unemployment is rife. The only food that the masses can get is the questionable Soylent Green from the Soylent Corporation: a green foodstuff supposedly made from soya and lentils (plankton in the movie). The book has many characters and POVs, the main one being Police Detective Andy Rusch who struggles to come to terms with his impoverished existence (losing his girlfriend in the process), and the story ends when hermit Peter believes that the population growth announcement of New year’s Eve will result in the end of the world. In the movie Rusch is renamed Frank Thorn (Heston) and becomes the main character, who famously discovers that “Soylent Green is people!” So whilst the book is somewhat depressing in its premonition of population overload and how “humanity” is lessened and demeaned by the inability to feed and house itself (remember Maslow? ), the film goes one step further to ask if it is morally acceptable to reprocess human remains to provide food and protein for a population that would otherwise starve. “The ultimate answer to the population explosion – let it explode!” The book describes life in the year 2381 through a variety of points of view of individuals living in Urban Monad 116 of the Chippitts (Chicago + Pittsburgh) constellation of super-massive one-thousand storey vertical worlds containing over 800,000 people each. It outlines what life would be like if nothing is done to limit population and where the creation of life is blessworthy and sexual fulfillment of others is a legal requirement in order to avoid the evil of frustration (frustration causes “flippos” – crazy people who don’t fit the system). The story investigates what it is like for the various inhabitants, many of whom seek such perverse desires as privacy, interaction with people from other floors and social classes, and finally sees what it would be like to walk on the earth again and live outside in the vast farming areas that provide for the Urban Monads. And if you don’t agree? All “flippos” are erased in summary executions and go “down the chute”. There is no happy ending. In the future, getting old is no longer an option. In the year 2000 the world reached “critical mass” so in order to maintain the population and resources, death is legally required of everyone reaching the ripe old age of 21. The story follows Logan 3 – a Sandman, tasked with enforcing the rule and killing anyone who reaches their 21st birthday. Those who refuse are called Runners and hunted down but when Logan also reaches 21 he rebels and ends up on the run, trying to reach a mysterious place called Sanctuary before he is caught and killed. The book asks the simple question – is the only fair way to manage the population (and resources) a draconian enforcement of enforced euthanasia? Is it more human to rebel against it or embrace the limitation of a fixed date of death? Is euthanasia more ethical than allowing us to age and succumb to the horrors of disease and decay? There were several follow-on novels and it was also made into a series of movies starring Michael York, as well as long-running TV series. A movie remake is currently in process. Seen as the start of the Zombie horror genre (after all, it inspired the 1968 classic Night of the living dead), Matheson’s depiction of society wiped-out by pandemic and replaced by zombie-vampires is now a classic warning of the fragility of society in the face of disease. Hero Robert Neville survives the disease and the story shows his life in the empty city, trying to work on a cure for the disease that leaves victims like the undead. He scavenges for supplies, befriends a dog and has to fight-off attacks from the zombie-vamps led by his former neighbour. When the infected (led by survivor Ruth) learn to overcome their disease and become a new world order, Neville’s days are numbered and he has to die. The book challenges the concept of humanity and what it is to be human, whilst also showing how a pandemic can rapidly bring down society in an over-populated world. We are all equal when faced with disease. It was made into several movies – the most famous being The Omega Man (1971 – starring Charlton Heston again) and it was also remade as I am Legend starring Will Smith (2007). Forget the Soylent Green, do you have anything with more bite? Richard Bachman was the pseudonym of horror writer Stephen King. His dystopian novel depicts the USA in 2025, with rampant violence and a ruined economy. With no hope and in desperate need of medicine for his sick daughter, blacklisted worker Ben Richards participates in a TV game-show where participants are hunted down and killed for entertainment. The book counts down in chapters (ominously ending at “000”) as Richards turns from merely trying to survive the gameshow and take the money to an altruistic attempt to overthrow the show’s corrupt presenter Dan Killian and the Games Network (the government-owned TV station that runs sick and violent TV shows). Richards learns how the Network is just a propaganda machine to pacify the public, even resorting to the murder of Richards’ wife and daughter. It ends with Richards mortally wounded and crashing an aircraft into the Games Network skyscraper. The book asks whether TV and media (particularly state-run media) are bad for society and also questions how far a corrupt and failing government would go to shore-up the system by perverting the truth and murdering innocents. In 1987 it was made into a movie of the same name and starred Arnold Schwarzenegger. So is mankind doomed? Probably. Some might argue that maybe it deserves to be doomed if it can’t find a way to make the system work for everybody. Whatever your thoughts, uncontrolled population growth is clearly a threat to us all and the essence of what it is to be human. If you think things are bad now, you ain’t seen nothin’ yet!